In the past, most corporate mission statements were fairly identical. They promised quality, exceptional service and competitive pricing, and there wasn’t much that made them stand apart from their competitors. Today, businesses with mission statements like this are known as commodities – and smart companies do everything they can to avoid that trap. Thanks to Simon Sinek’s signature TED Talk “Start With Why,” many have embraced the idea of differentiating on a larger purpose rather than on their products and services, and they work hard to identify what makes their brand truly meaningful – their larger positive impact beyond making money. Think of the brand purpose as a guiding light, something you’re always pursuing through your work and by living your brand. Although purpose-based branding is inherently powerful, unfortunately it’s often confused with a single and narrow aspect of being more than the sum of products and services – corporate social responsibility (CSR). This misguided definition of brand purpose has resulted in an even greater number of undifferentiated brands all competing with what has become … you guessed it … another commodity message. What this offers is a grand opportunity for those who understand the full meaning of brand purpose to create a truly meaningful – and differentiated – brand. This is not to say that responsible business practices, care for the environment or community involvement could not be part of what makes a brand meaningful, or even become the core of a brand purpose – only that there’s a greater benefit when the brand purpose can extend beyond that. In other words, there is a much broader set of possibilities for developing a meaningful brand. This is not corporate social responsibility, it’s not cause marketing, and it’s not a strategy for philanthropy; it’s a business strategy. …once you choose your purpose – everything else should come out of that. For example, Dove doesn’t simply sell soap and beauty products; it’s out to improve the self-esteem of girls. Coke’s brand platform is based on happiness and how it makes itself meaningful (its brand purpose) is by spreading happiness. It delivers its products and sports equipment to villages around the world. IBM was one of the first B2B companies to adopt purpose-driven branding. Its “Smarter Planet” repositioning was a response to global economic crisis in the late 2000s. Grounded in making the world better through knowledge sharing, this brand purpose is rooted in IBM’s vision and entrenched in its day-to-day business practices. Having this broader perspective of brand purpose is also important for attracting “ideal” customers, top talent and other stakeholders who increasingly view sustainability and CSR as merely the cost of entry and who want to associate with companies that are doing more than writing checks for good causes. 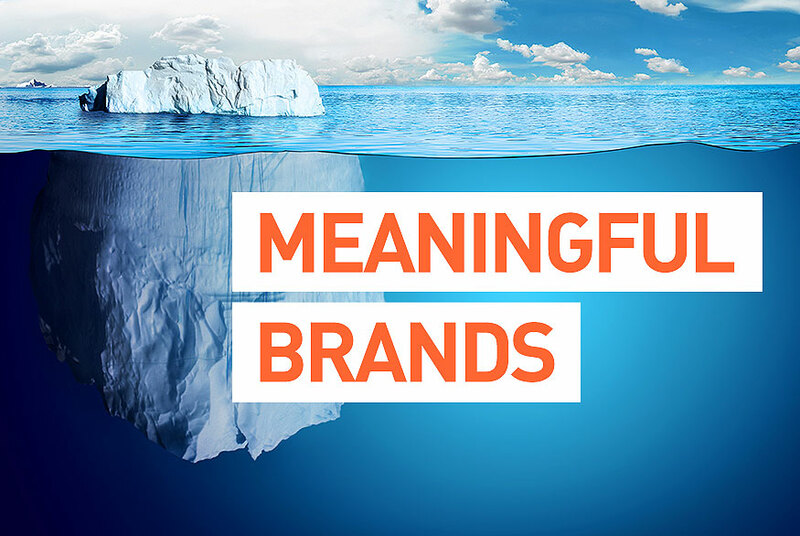 A brand can be meaningful in many different ways, so dig deeper to uncover what it is that truly drives your company to have a positive impact – through its work and its actions. In each case, the brand purpose (what makes these brands meaningful) is aligned with each company’s brand platform. In other words, their position, promise, essence and values support the continual pursuit of the company’s brand purpose and, therefore, are defined by – and guided by – the purpose itself. All of these companies also happen to be deeply committed to environmental and social responsibility. They simply have chosen something that’s more differentiating to talk about when they discuss their brand purpose with prospects, customers, employees, investors, partners and other stakeholders. In short, they are giving their stakeholders something uniquely meaningful to be inspired by and part of – and that’s the best way to make certain your brand purpose doesn’t begin to sound just like everyone else’s in your category. At Substance151, we assist companies in developing compelling and meaningful brands and marketing communications. Contact us at 410-732-8379 or brand@substance151.com and let’s discuss how we can help your company develop a brand and a purpose that gives you the competitive advantage.